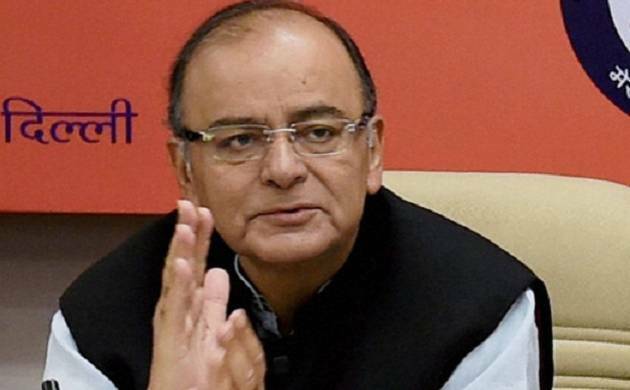 New Delhi(PTI): Finance Minister Arun Jaitley today asked the Congress to refrain from indulging in politics over GST launch, saying all decisions with regard to the new tax regime were taken unanimously by the GST Council. The government is planning to launch Goods and Services Tax (GST) at the midnight of June 30-July 1 from the Central Hall of Parliament. President Pranab Mukherjee, Vice President Hamid Ansari, Lok Sabha Speaker Sumitra Mahajan will be present, along with members of Parliament. Jaitley has already invited former prime ministers Manmohan Singh and H D Deve Gowda to attend the event. When asked about the Congress party being non-committal of attending the event, Jaitley said “I don’t know what they will do. All decisions (on GST) were taken collectively and we want the launch programme to reflect the collective nature of our polity”. Jaitley said that GST is for the entire country and all political parties have supported the GST Constitutional Amendment Act in Parliament. All states sans Jammu & Kashmir have passed the State GST (SGST) act. “It is for entire country, and President would be there and there should be no politics over it,” Jaitley said at the ‘GST Sammelan’ hosted by ABP News. “GST Council is the first federal institution where every decision was taken by consensus. No decision was taken on the basis of UPA Vs NDA, or on the basis of politics. All decisions were taken keeping in mind the benefits to the country and traders,” Jaitley said. “The Congress party is examining various aspects of the issue, including the manner the GST is being implemented causing harassment to the common people, the unorganised sector and small businessmen,” Surjewala said. The historic Central Hall of Parliament will host a midnight function on 30 June to launch the sweeping tax reform measure, reminiscent of India’s tryst with destiny at the midnight of 15 August, 1947. The government will use the circular-shaped Central Hall, perhaps for the first time, to launch a new taxation system that is set to dramatically re-shape the over $2 trillion economy. The launch event will, in all probability, start at 11 pm on 30 June and extend into midnight, coinciding with the roll-out of GST regime.